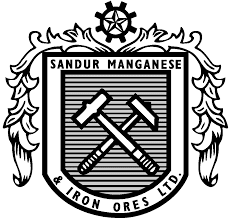 Money Market Tips: STOCK MARKET--Buy Sandur Manganese: SP Tulsian share analysts. STOCK MARKET--Buy Sandur Manganese: SP Tulsian share analysts. Sonia: Wanted to talk about your long term stock idea which is Sandur Manganese. What is the call here? A: The stock was given by me on September 21, about three months back at Rs 890 and the stock has already given a gain of 38 percent in this three months and still we are keeping the positive bias for the simple reason that there has been Supreme Court judgment yesterday where the exploration of the iron ore is enhanced from 30 million tonne which was capped earlier, to 35 million tonne. If you really take a call on this company, they have mines of iron ore and manganese ore in Sandur in Karnataka near Bellary and largely supplying to JSW Steel and all that. Company has a reserve of 75 million tonne of iron ore and 8 million tonne of manganese ore, and if you really see when the 2013 – I am just giving a little background, when Supreme Court allowed the empowered committee to fix the cap of production by each company, in fact this company was entitled to produce 16 lakh tonne of iron ore per annum. However, the empowered committee which was appointed by the Supreme Court has allowed them only to explore 11.7 lakh tonne of iron ore per annum; I am talking lakhs not millions. 11.7 lakh tonne per annum and because of the huge reserves the company having at their end with the mining capacity, company produced about 11.8 million tonne closer to the capacity and they produced about 11.5 lakh tonne in FY17 and in the current year that production is likely to get enhanced to 11.7 lakh tonne per annum that is to their permitted capacity because they should not breach the set limit by the empowered committee. So this is seen as a very big positive because in the course of the increase from 30 million tonne for Karnataka to 35 million tonne, larger portion of that share is going to be received by this company. I would not be surprised to see the capacity enhanced from 11.7 lakh tonne to 16 lakh tonne which was allowed by the Supreme Court but capped by the empowered group of committee. So taking that into account, it is very positive.